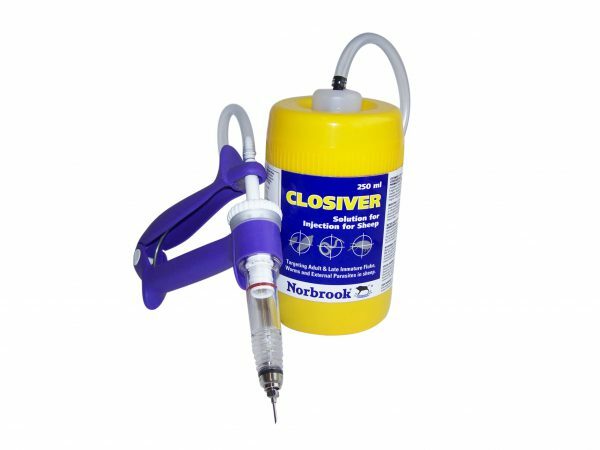 Solution for injection for sheep. Targeting adult and late immature fluke worms and external parasites in sheep. Contains ivermectin and closantel, POM-VPS. For further information see the SPC, farmers should contact their animal medicines supplier SQP, veterinary surgeon or Downland Marketing Ltd, 15 Victoria Place, Carlisle, CA1 1EW. Use medicines responsibly: www.noah.co.uk/responsible.